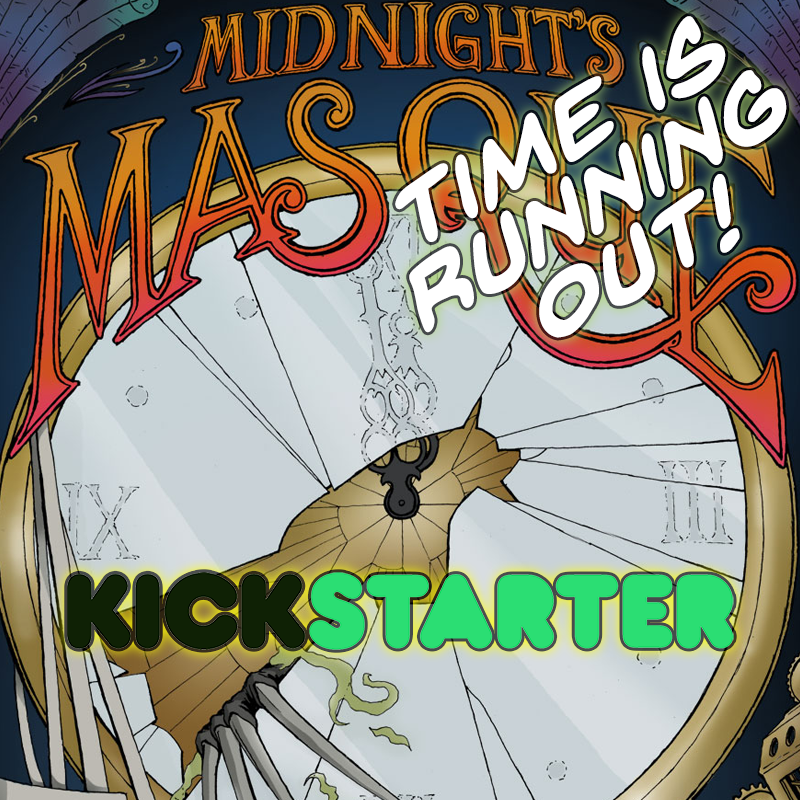 Hi everyone, thanks to the advice received here, me and my artists have launched our first Kickstarter for our comic, Midnight's Masque. Any and all support and social shares are very much appreciated! 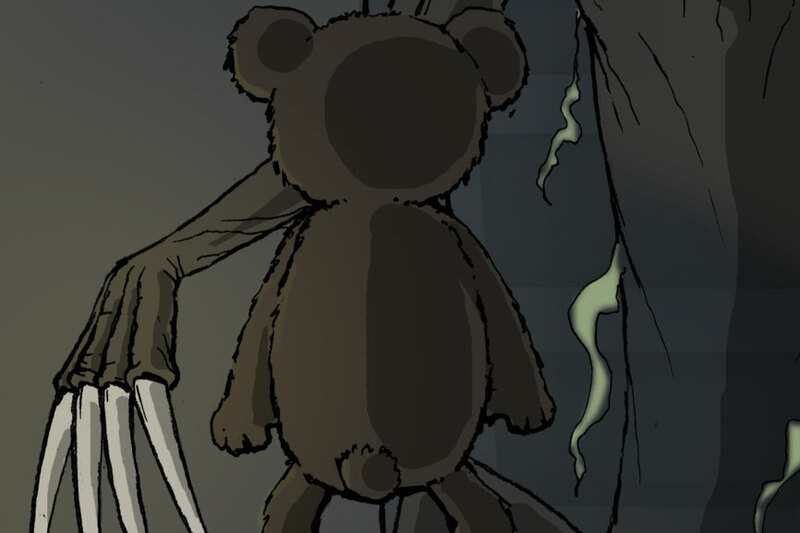 Midnight's Masque is the tale of teddy bears and monsters, set in the darkness of the night. 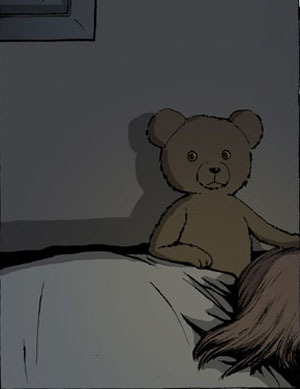 Our hero, Maquette, is a Guardian who must protect his human ward, Anna. Maquette battles the Wraiths that appear at midnight. 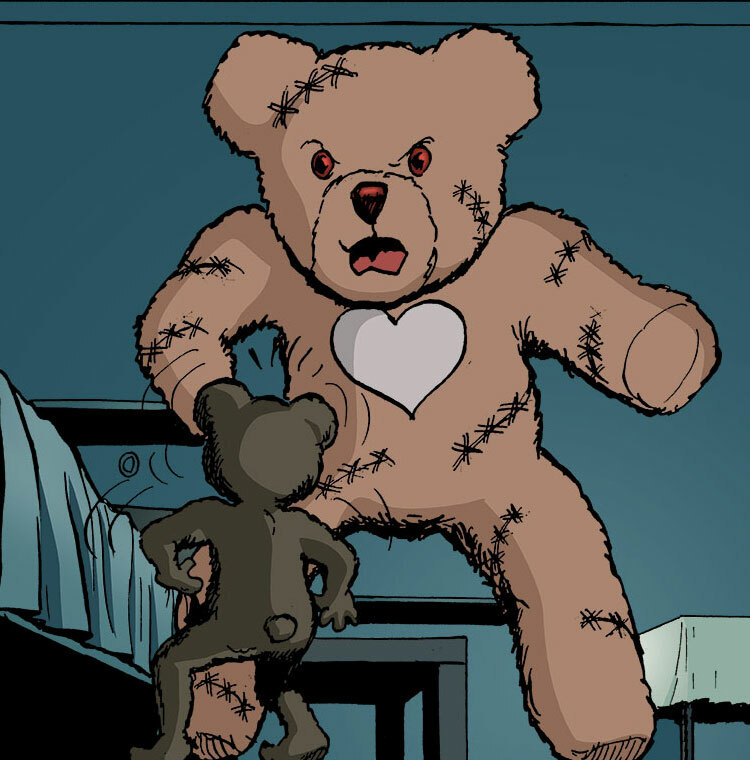 There are other teddy bear Guardians, but not everyone is an ally. 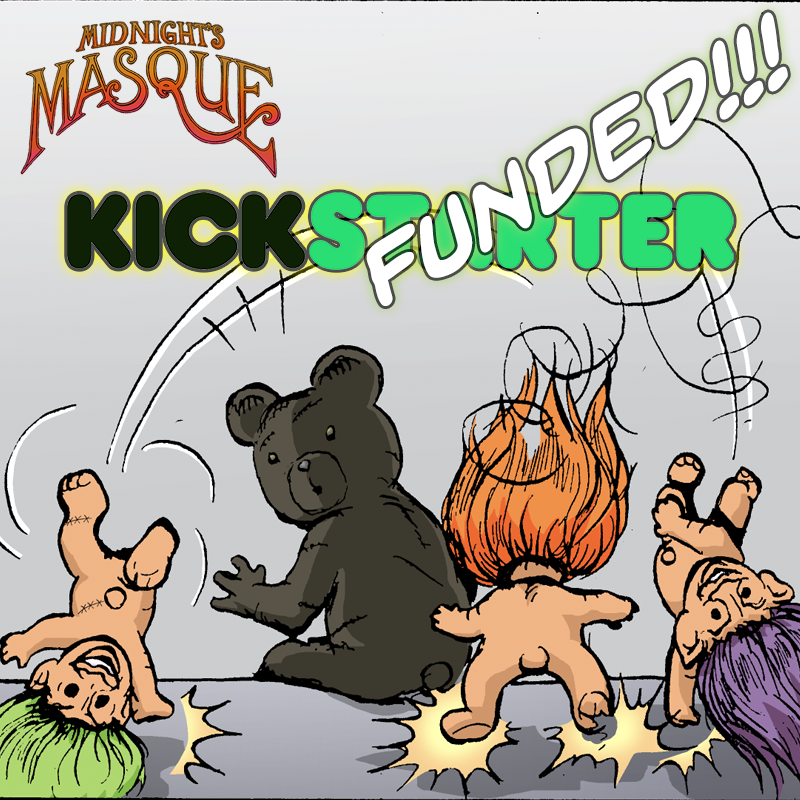 Wow, we've blitzed almost halfway to our funding goal in a single day! Thanks to everyone for reading this and supporting us. Please keep sharing the link to the Kickstarter and making this possible! We had an amazing first week on Kickstarter. Thanks to everyone who pledged and shared the link. Please keep doing so and we'll rock this! We did it! The campaign hit its funding goal and is now successful! And we still have 17 days to go, so please keep sharing the link to the Kickstarter and let’s launch this rocket! We’re racing past the funding goal and headed for DOUBLING it! 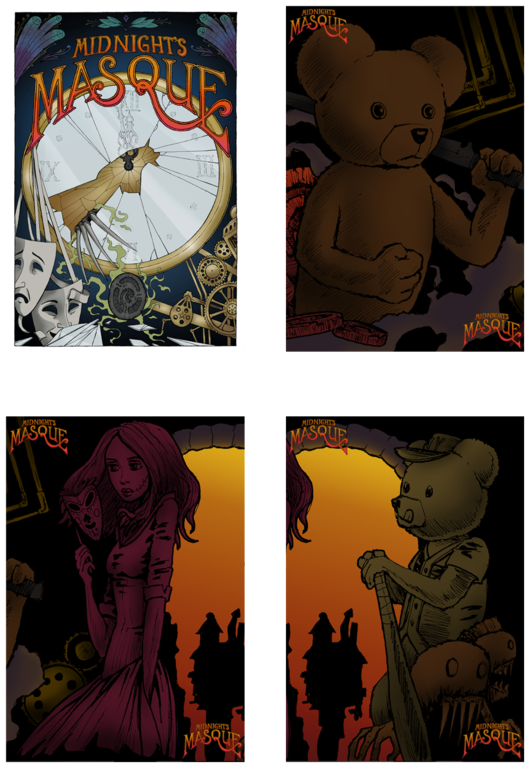 To keep the momentum going, we’ve added a new Stretch Goal featuring these bookmark/playing cards with special art from Darren. Please keep sharing the link to the Kickstarter and let’s launch this rocket! 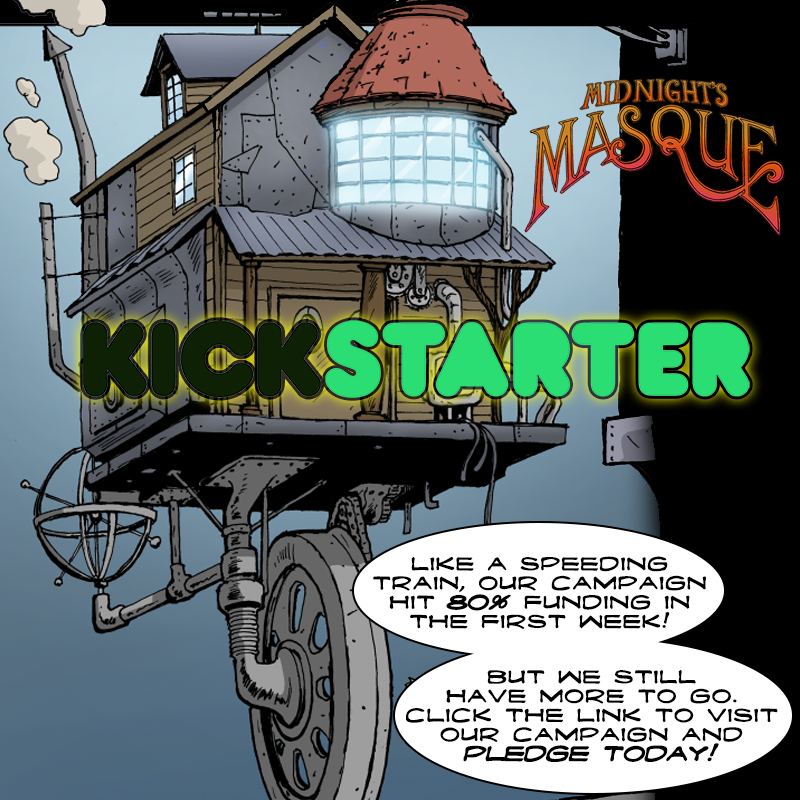 We’re down to the last 5 days of the campaign and OH-SO-CLOSE to our stretch goal! 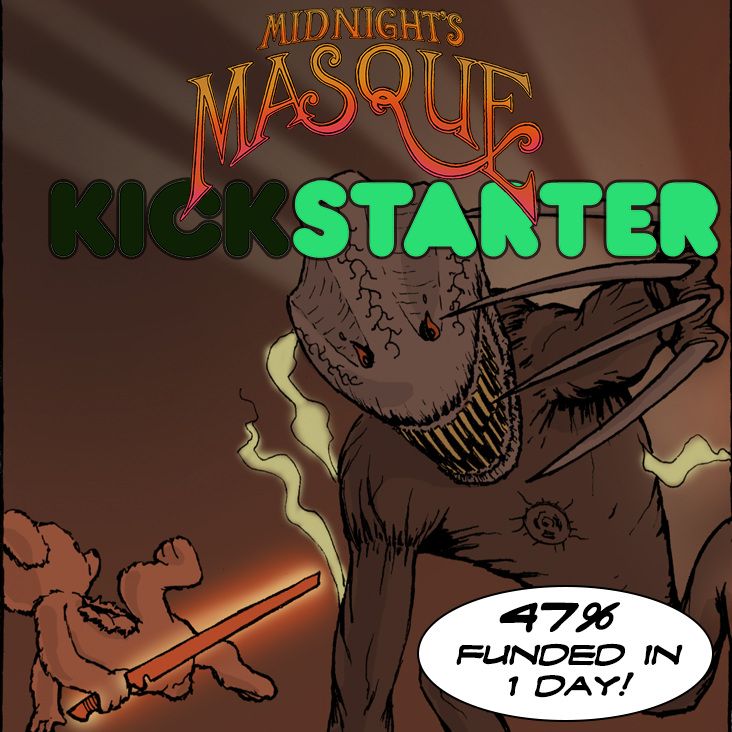 This has been an amazing run, and all of us on the Midnight’s Masque team cannot thank you enough for your support. Please pass around the link to the campaign to those last few comic book fans you know and let’s finish off this week right by hitting the stretch goal and getting the cool bookmark cards made for all of our backers.